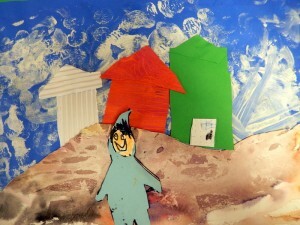 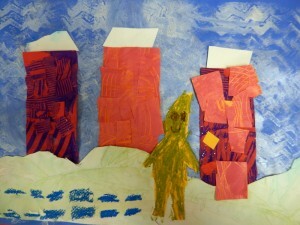 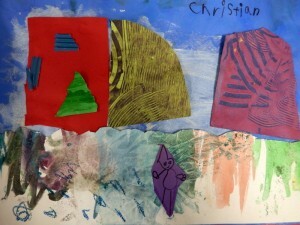 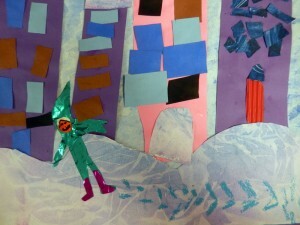 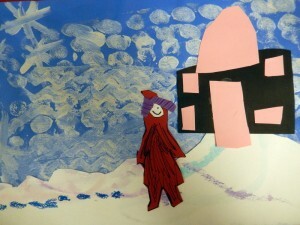 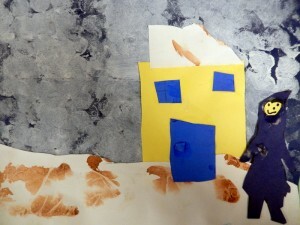 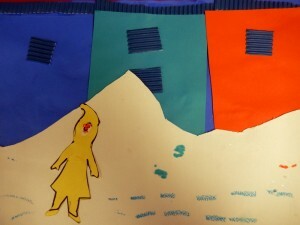 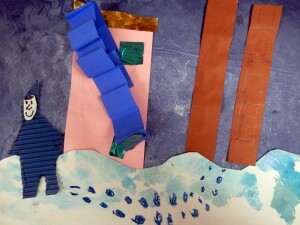 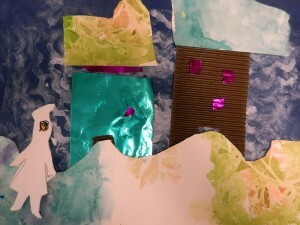 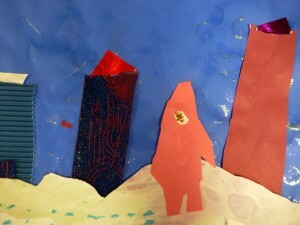 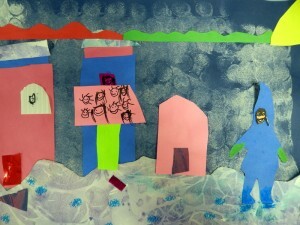 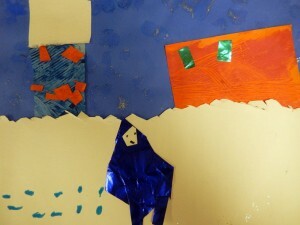 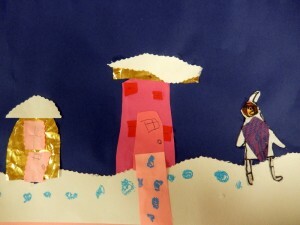 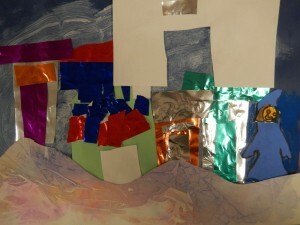 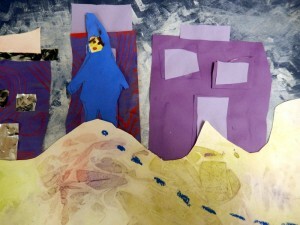 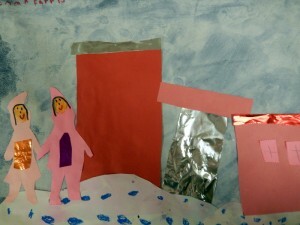 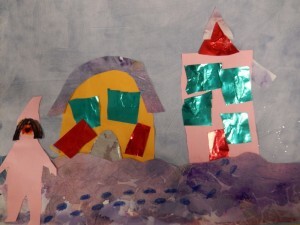 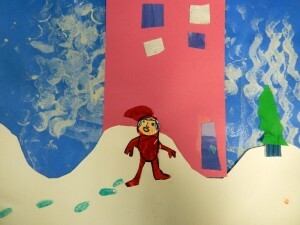 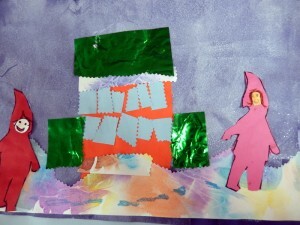 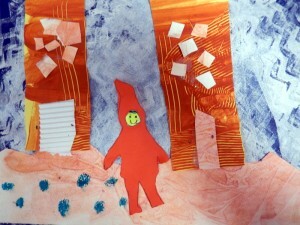 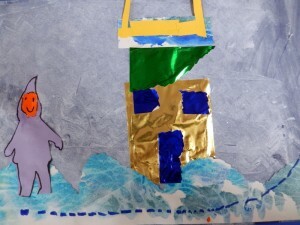 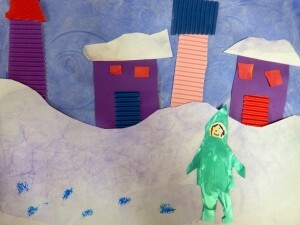 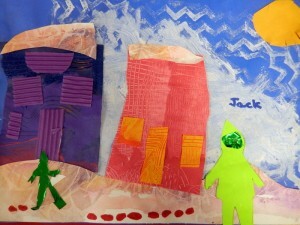 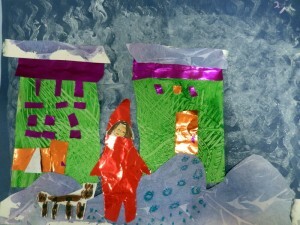 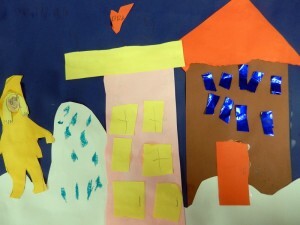 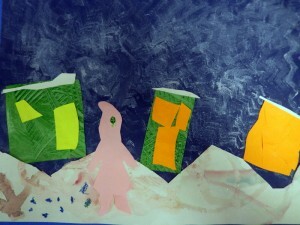 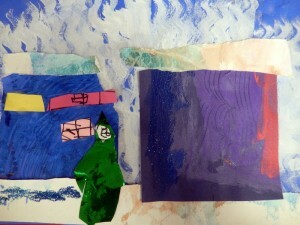 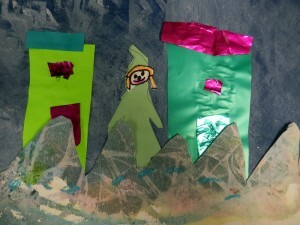 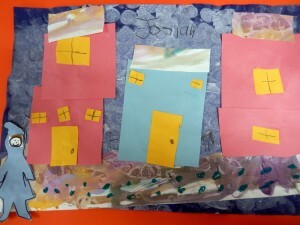 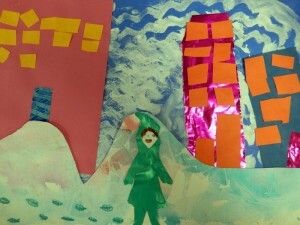 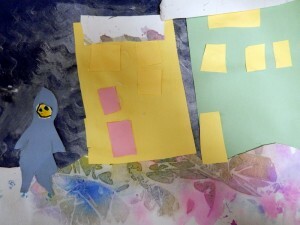 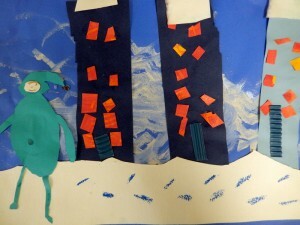 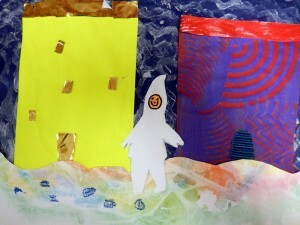 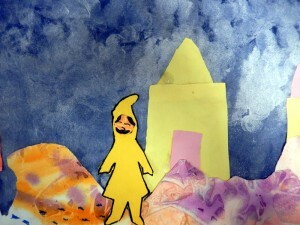 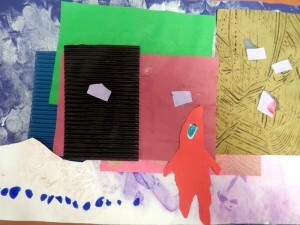 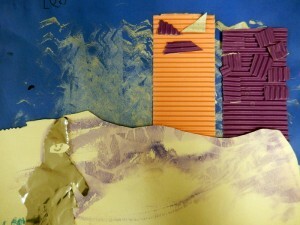 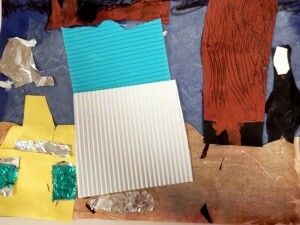 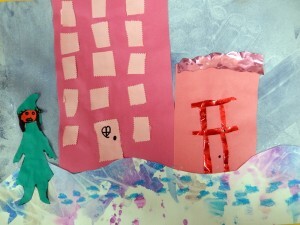 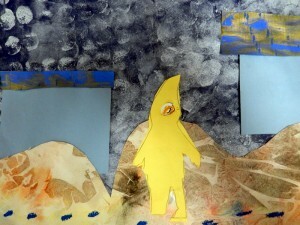 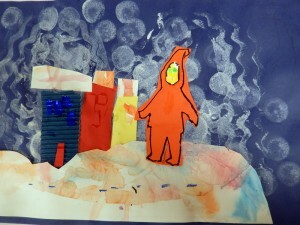 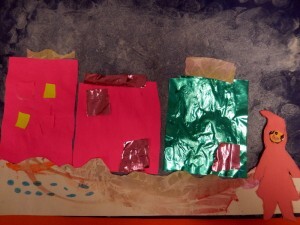 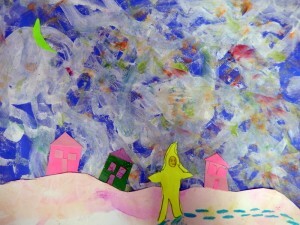 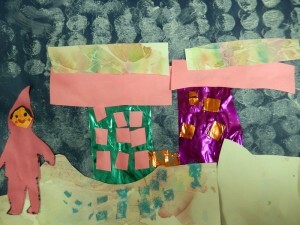 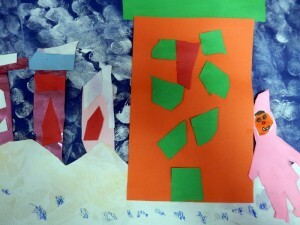 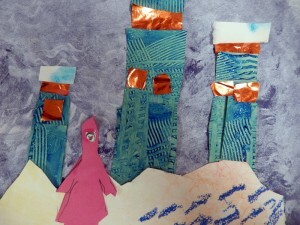 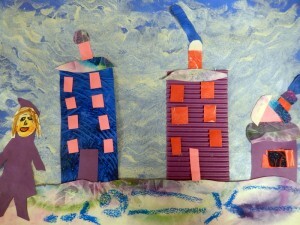 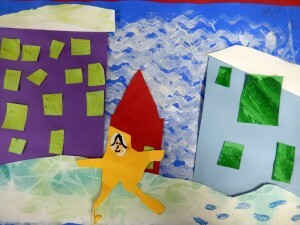 First graders took cues from Ezra Jack Keats’ Caldecott-winning book The Snowy Day for this wintry art project. 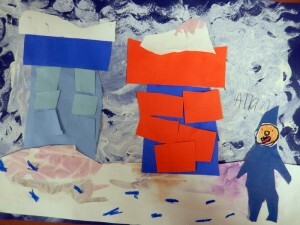 They made their own snow using watercolors and crumpled up plastic bags on top, creating a crackled effect, and used sponges to make blizzard conditions in the sky. 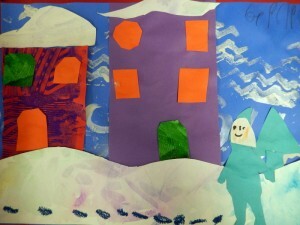 They experimented with size, scale, and overlapping shapes with their houses, and had fun putting themselves in the picture, nice and warm in snowsuits.